Star trails. 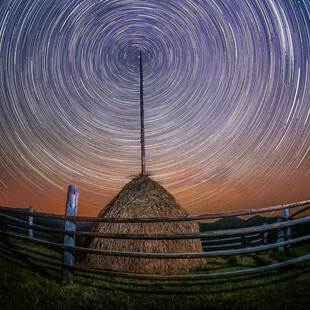 Take long exposure, a clear sky and rotation of the Earth to capture the apparent motion of stars on your camera. There will be only one overall winner, who will receive a prize of €150. You can submit up to 3 photographs. You can submit your photographs from 2 May 2016 to 13 June 2016, inclusive. The jury's decision will be published on 22 June 2016. The contest jury will be made up of objetivoiluminar team (Gonzalo Pernas and J. Pablo López), and their decision will be final. Earth Speed - Aunque no nos lo parezca, la tierra se mueve a gran velocidad y eso es lo que he intentado reflejar en esta fotografía, la gran velocidad del movimiento de la tierra. These contest rules are an expansion of the Fomunity Terms and Conditions of Use. If there is any contradiction between them, the terms and conditions defined in these rules have precedence. Taking part in this contest implies that you accept the Fomunity Terms and Conditions of Use, all of the contest rules and regulations, and any reasonable changes introduced by Fomunity. 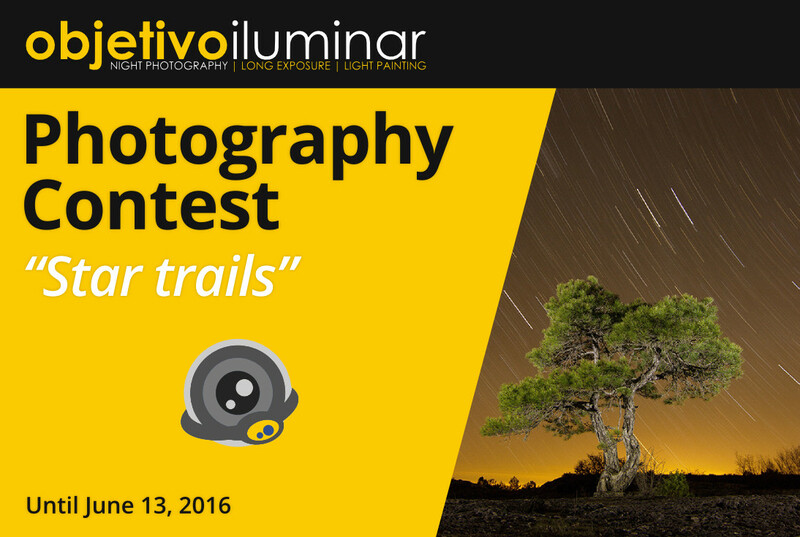 This contest is open to all professional and amateur photographers who are interested. Each competitor can submit up to 3 photographs, none of which can have won a prize in any other competition (Fomunity or otherwise) and to which they must hold the intellectual property rights. The photographs must be at least 1.000 pixels and no more than 10.000 pixels, in JPG (JPEG) format, and can be no larger than 10 MB. Basic digital processing (white balance, exposure, levels, contrast, saturation, focus, vignetting elimination ...) and cleaning of particles and moderate cuts be accepted. Image modifications or part/s of it, that would make the photography to reflect a different reality to the photographed not be accepted. The authors of the photographs they reach the final stage of the discussions may be asked, if necessary, by any means, explanations about the image that the jury deems appropriate, including the RAW files. Only photographs submitted via the contest page: https://fomunity.com/contest/42 will be accepted. To encourage originality, submitted photographs will not be published until the entry deadline has passed. To help jury impartiality, the authors of each photograph will not be displayed until the jury has made its decision. You can submit photographs from May 2, 2016 at 00:00 until June 13, 2016 at 23:59. The jury's decision will be published on the contest webpage on June 22, 2016. Fomunity uses Central European Time, and adjusts to Central European Summer Time in season. Works that infringe people's dignity or human rights will not be accepted. Works featuring any over-texts, watermarks or any frame or indication of the author's identity (in the photograph, title or description) will not be eligible for a prize. The jury will reject any photograph that fails to comply with these rules. Competitors are liable for any image rights or civil liability suits. Fomunity reserves the right to remove any photograph from the contest if the jury or the Fomunity team considers that the photograph does not fit the proposed theme. Any situation not covered by these rules will be decided by the jury and the Fomunity team.